When in Tofino, make a side trip to see Wild Pacific Trail in Ucluelet, approximately 42 minutes away. Spend the 16th (Wed) exploring nature at Pacific Rim National Park. The adventure continues: explore the activities along Clayoquot Sound, stroll through Long Beach, and enjoy the sand and surf at Chesterman Beach. For ratings, traveler tips, reviews, and more tourist information, go to the Tofino travel itinerary creator. Regina to Tofino is an approximately 6.5-hour flight. You can also do a combination of car and ferry; or do a combination of bus, taxi, and flight. The time zone difference when traveling from Regina to Tofino is minus 2 hours. Traveling from Regina in August, expect nights in Tofino to be about the same, around 14°C, while days are slightly colder, around 22°C. Wrap up your sightseeing by early afternoon on the 18th (Fri) to allow time for the car ride to Victoria. Victoria is known for sightseeing, museums, historic sites, nightlife, and adventure. Your plan includes some of its best attractions: take in nature's colorful creations at The Butchart Gardens, take a stroll through Beacon Hill Park, take in the waterfront at Inner Harbour, and step into the grandiose world of Craigdarroch Castle. For more things to do, where to stay, traveler tips, and more tourist information, read our Victoria holiday planner. You can drive from Tofino to Victoria in 5 hours. Alternatively, you can do a combination of car and flight; or take a bus. In August in Victoria, expect temperatures between 22°C during the day and 15°C at night. Finish your sightseeing early on the 22nd (Tue) to allow enough time to fly to Whistler. You'll find plenty of places to visit near Whistler: Pemberton (Pemberton Distillery & Joffre Lakes Provincial Park). Next up on the itinerary: get great views at Peak 2 Peak Gondola, admire the sheer force of Alexander Falls, contemplate the waterfront views at Lost Lake, and glide through natural beauty at Whistler Blackcomb. For ratings, maps, photos, and more tourist information, read Whistler trip itinerary planner. Getting from Victoria to Whistler by flight takes about an hour. Other options: do a combination of ferry and car. Traveling from Victoria in August, expect nights in Whistler to be about the same, around 12°C, while days are somewhat warmer, around 28°C. Cap off your sightseeing on the 24th (Thu) early enough to catch the flight to Vancouver. Vancouver is known for parks, sightseeing, zoos & aquariums, museums, and trails. 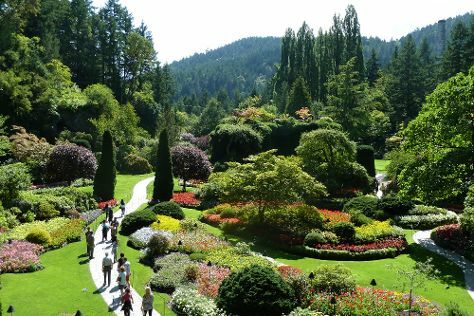 Your plan includes some of its best attractions: tour the pleasant surroundings at Stanley Park, take a stroll through Vancouver Downtown, take in the awesome beauty at Grouse Mountain, and admire the natural beauty at VanDusen Botanical Garden. To find maps, more things to do, reviews, and tourist information, read Vancouver custom trip planner. You can fly from Whistler to Vancouver in an hour. Other options are to drive; or take a bus. Expect somewhat warmer evenings in Vancouver when traveling from Whistler in August, with lows around 17°C. Finish up your sightseeing early on the 29th (Tue) so you can travel back home.